Lay - in Square Ceiling is with professional mold design, even panel surface, distinct edges & lines, and clear & concise. All of these create a pleasant visual space. OUSILONG lay - in square ceiling features flat surfaces effect, beautiful & concise lines, class A2 fireproof, nice moisture proof and easy for installation. It won’t produce harmful gas & substance, no harm to people. No fade in washing, no deformation. 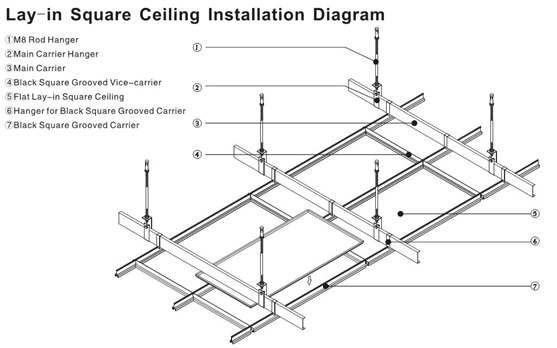 The ceiling is easy to saw or cut into special shape, and convenient to maintain. 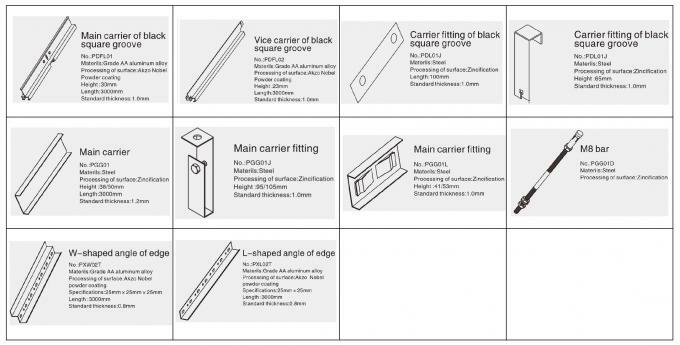 High installation accuracy & tight joint gap make its coefficient of sound insulation reaches 0.5~0.82AS. 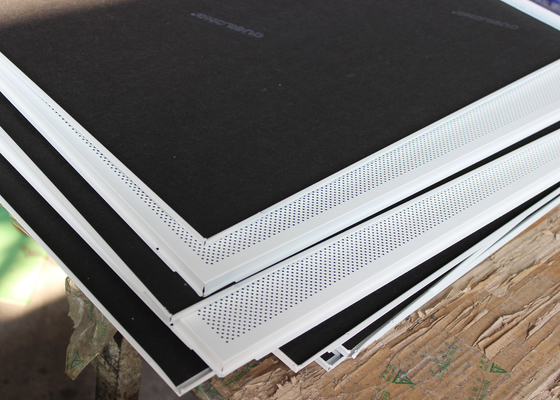 It’s widely used in office buildings, shopping malls, railway station, airport, big clubs and etc.